Indiana State University's College of Nursing, Health, and Human Services is further expanding its curriculum to offer doctoral degrees in nursing practice and physical therapy. A vote Friday from the Indiana Commission for Higher Education approved the two new degree programs only one month after ISU received the Commission's support for a Master of Science degree in physician assistant studies. ISU College of Nursing, Health, and Human Services Dean Richard "Biff" Williams said the new programs will help ISU meet its mission of being engaged in the community. "It's exciting for ISU, the college and our faculty that have worked really hard. I'm excited for the community because there is a shortage of healthcare professionals in these areas," Williams said. "Things are really happening at Indiana State, and I'm thrilled." The Doctor of Nursing Practice degree is designed for students who have already earned a Master of Science in nursing. It is a practice-focused professional doctorate degree that will require students to earn 39 credit hours and complete 500 clinical hours of study. ISU will admit as many as 10 full-time and 10 part-time students to the program for the Fall 2010 semester. One faculty member will be added to the nursing faculty to serve as the program director. ISU is one of two public institutions that will now offer the Doctor of Physical Therapy degree. It is a nine-semester, 102 credit-hour program geared toward the post-baccalaureate student who desires a professional career as a physical therapist. 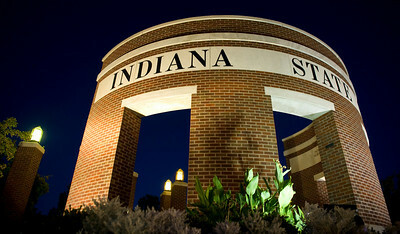 As many as 30 students will be admitted for the May 2011 summer session. The college will hire a program director, a clinical coordinator and two faculty members in conjunction with the new program. Williams said the university began working three years ago to bring about these curriculum changes. A taskforce commissioned by ISU Provost C. Jack Maynard first began looking at the curriculum of the college in September 2006 to develop a strategic plan for a comprehensive college of health-related professions. Maynard said Williams' commitment to bringing about these changes speaks well of him and the College. "From day one, Dean Williams and his faculty were challenged to bring new programs forward that would support the needs of the state, especially rural Indiana, while bringing new students to our campus," Maynard said. "They accomplished this task in one of the shortest periods I have ever experienced." The support from area health professionals and the Indiana Commission for Higher Education is also encouraging, Maynard said, and points to a promising future for ISU. "The rewards are coming," he said. "New programs, new faculty, new students, a great sense of pride in what they have accomplished. Everyone, on and off-campus, will benefit from the impact of these programs, faculty, and students." ISUâ€™s College of Nursing, Health, and Human Services is further expanding its curriculum to offer doctoral degrees in nursing practice and physical therapy.